Clothing and household donations are tax deductible. Please contact Betty Blair Daniel if you have questions regarding donating specific items. 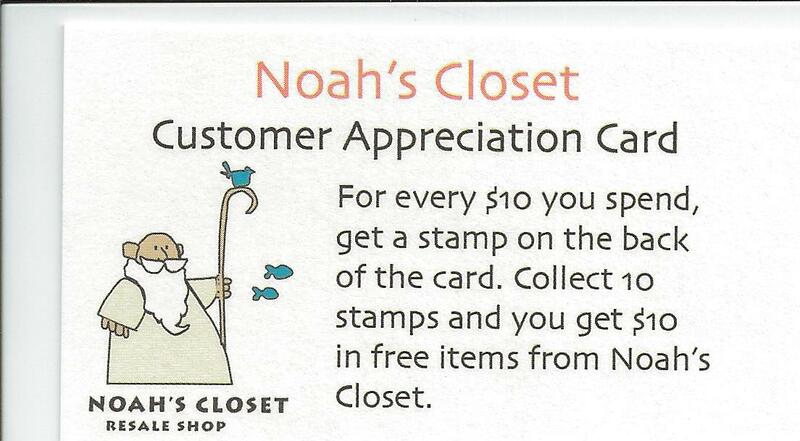 Customer Appreciation Cards are available. For every $10 you spend you get a punch. After 10 punches you receive $10 free merchandise. Our prices are extremely reasonable to serve any income level. Prices range from $1-$5. All proceeds benefit the various programs of The Ark.